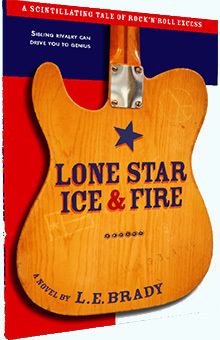 They called them Lone Star Ice and Fire. His kid brother, Walker, shy and plain, wasn’t someone you’d look at twice—until he, too, took up blues guitar. To everyone’s dismay Walker’s fretwork possessed a black-magic hoodoo that raised the tension between the brothers tenfold. Some said Walker Blaine might even be the greatest who ever laid hands on wire and wood; others hinted that Walker could never have come by his extraordinary talent without resorting to dark dealing with sinister forces. Two driven brothers facing off in their music, their women, with all their souls. Lone Star Ice and Fire is a tale as primal as Cain and Abel, as complex as Mozart and Salieri. It’s also a great read that brings the music of Texas—and our time—to rich, compelling, can’t-put-it-down life. 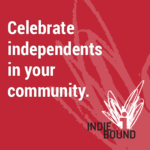 CLICK HERE to find out about the author of Lone Star Ice and Fire, L.E. Brady. This is a story of brotherhood in all its aspects – the good, the bad, the downright evil, and the saved. Think Cain and Abel in a stranglehold, think the Wright Brothers in the glory of flight, think Mike and Darrell Waltrip duking it out behind the wheel at 180 mph … but whatever you do, think Big, because this is also a ten-gallon tale about Texas. Sonny was the star of the family, a blues guitarist with a future, but guilty about leaving his younger brother home to be a target of brutal beatings and daily doses of despair. But while Sonny wasn’t looking, Walker was picking out tunes on the guitar. The music that Walker could make was out of Sonny’s realm – Sonny was all heat, beat and rhythm, while Walker was cool, detached, and way out there. So they were dubbed Fire and Ice. L E Brady is a music-knowledgeable, guitar-loving blues fan and a writer who can go the distance. Her dialogue sounds like where it comes from – the heart of the blistering southland. She deals as well with the screwed up empty madness of drugs as with the mysteries of a girl singer’s heart, and tells it all with down-home soul. This is a novel that leaks passion out from all the edges, without veering too far from the straight story-line.